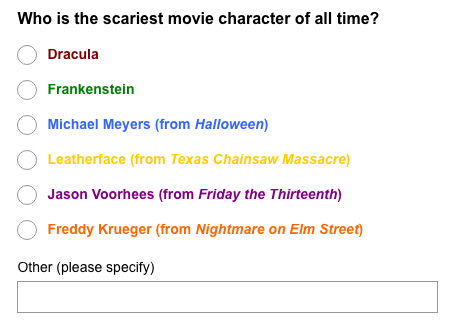 Elk Grove Film Club: Who is the SCARIEST movie character of all time? Fright Fest 2015 is here! Let us know what you think the scariest movie character is by placing a vote below. Don't forget that Drag Me to Hell is showing TONIGHT! Click on the image below to go to the survey.